Trust is an important element of successful strategic planning. Every year, usually in the last fiscal quarter, senior leadership teams book an offsite meeting to set strategic objectives for the coming year. Perhaps part of that day is spent looking in the rear view mirror assessing what did or did not get accomplished from the previous year’s goals. For some participants this will be the first update they’ve seen since the goals were set the previous year. Not an ideal scenario, but at least the organization is meeting to plan: most organizations don’t do any formal strategic planning. Of those companies that do create a strategic plan, many do not fully involve their employees in the exercise. They do not give their employees enough credit. Essentially, senior leaders don’t believe employees are competent enough to make decisions, contribute to goal setting, or succeed or fail based on those goals. Employees are not given any ownership of these goals. If the organization has a high level of trust between employees, team brainstorming can be an effective way to elicit ideas for strategic objectives. A facilitator from outside the organization can help keep the process on track*. In other cases, anonymous feedback is the preferred approach. To be successful, this requires that employees trust that their anonymity is assured. An objective, third-party assessment tool can be helpful. Regardless of the approach, employees must trust that the people who lead strategic planning will take their input seriously. This helps build the essential commitment to follow through on the plan. As you move forward, be willing to share progress and celebrate success: equally important, leaders need to show vulnerability when the plan is not on track. Being up-front when things aren’t quite right demonstrates sincerity and makes it easier for employees to do the same. Ultimately, it creates a safer environment for everyone. Creating an achievable plan doesn’t mean you’ll successfully complete your plan; however, if everyone on the team believes in it and in each other’s ability to get there, your chances of success increase. *The Achievement Centre has many excellent facilitators who assist with strategic planning. Diane has experience in both the profit and not-for-profit sectors. She brings a wealth of diversified experiences to her leadership, business and personnel management practice. For 10 years Diane, along with her husband, owned and operated an art gallery, photography studio, custom picture framing shop and camera store. Diane has led not for profit organizations for over 25 years, ranging from newly established affiliates of national and international organizations as well as grass root organizations. She lived and worked for 10 years in the Northwest Territories, and provided support and consultation to agencies in B.C. and Ontario over the past 20 years. 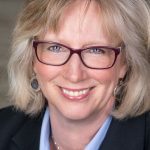 Diane has guided several organizations to develop and strengthen social enterprise operations by instilling entrepreneurial skills and attitudes to staff teams to achieve the revenue needed to achieve their mission.